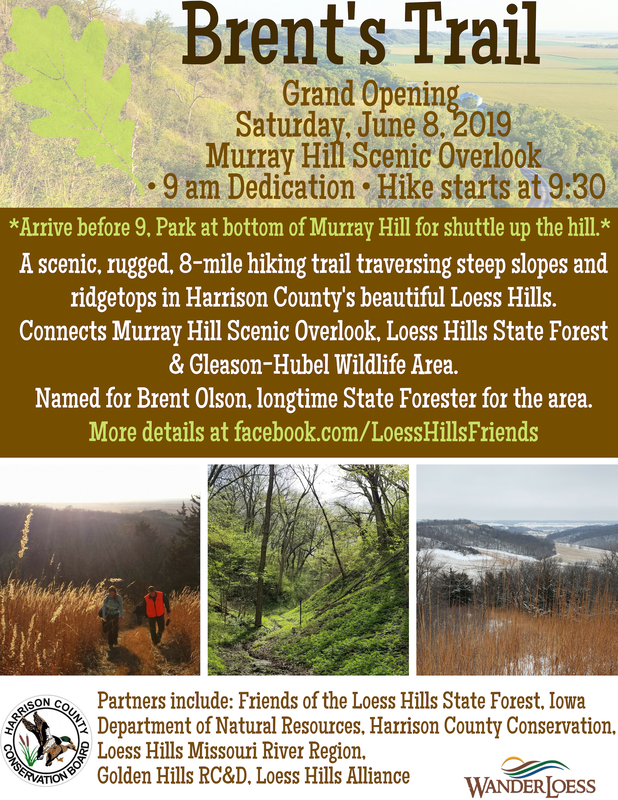 Brent's Trail is an 8-mile hiking trail connecting Harrison County Conservation’s Murray Hill Scenic Overlook and Gleason-Hubel Wildlife Area via the Loess Hills State Forest. The trail is the start of a proposed trail that will eventually connect the northern and southern ends of the State Forest. The trail is named after longtime state forester Brent Olson. It's a partnership between Harrison County Conservation Board and Iowa Department of Natural Resources. 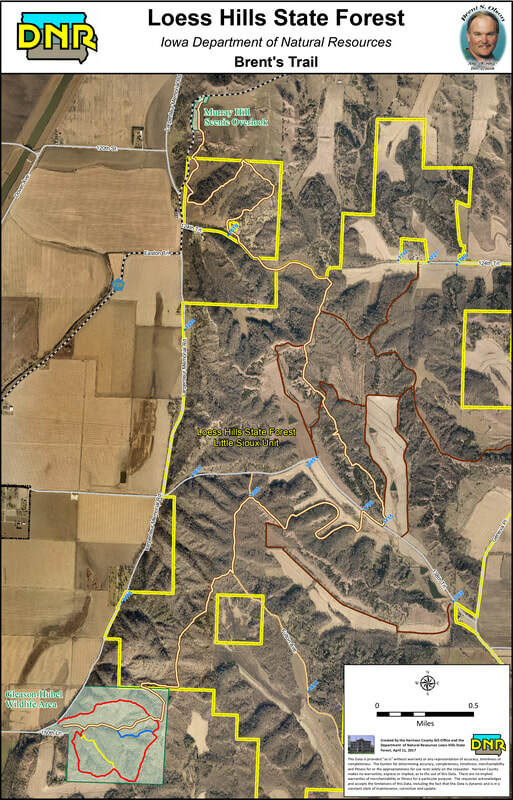 Other partners and supporters include Friends of the Loess Hills State Forest and Preparation Canyon State Park, Loess Hills Missouri River Region, Golden Hills RC&D, and Loess Hills Alliance.